Are you one of the many thousands of homeowners that is locked in to their current mortgage lender? Maybe you have a mortgage deal with a very low rate that is no longer available if you obtain a remortgage? Is your age or poor credit history a problem to banks or building societies? Or perhaps your existing mortgage lender is closed to new lending? Whatever the reason, contact Imagine today for guaranteed impartial advice regarding fast online secured loans for homeowners. Why choose Imagine Loans® for a Secured Homeowner Loan? At Imagine Loans® , we have 30 years experience in helping homeowners like you to turn their dreams into reality. And because we have low operating costs, we can provide the cheapest online loan deals with lower interest rates than larger companies we compete with, even if you have a bad credit rating. Our lower running costs mean cheaper monthly loan repayments for you. You get longer to pay it back. Unlike an unsecured loan, secured loans can be taken over terms of up to 30 years, making the repayments more affordable. Monthly repayments are often lower. Interest rates are usually lower compared to a unsecured loan and the repayment periods can be longer. Not as risky for the lender. Because security is provided, lenders view a secured loan as less risk than an unsecured loan. Speed. A secured loan is usually much quicker to obtain than a remortgage. You can borrow larger amounts. With unsecured loans the maximum is often £25,000, whereas secured loans are available up to £2.5 million. Greater flexibility. Loans are available to borrowers with less than perfect credit records, so previous problems will often not count against you. Your existing mortgage remains unaffected. If you have a very competitive interest rate on your current mortgage, an interest only mortgage, a high early repayment charge or a mortgage term you wish to keep, a secured loan is a separate account to your existing mortgage. Maintain your good credit rating. If you wish to consolidate existing debt into one lower monthly repayment, by making your outgoings more affordable you can better manage any unexpected expenditure in the future. Easier for the self employed. Personal loans can often be difficult to obtain for the self employed. No up front fees. Lenders and brokers are not allowed by law to charge up front fees, so all costs involved in processing the loan such a a property valuation, mortgage reference and legal searches are paid by the broker, not you. No early settlement penalties. If you are looking to take a loan over a long term to make it more affordable but intend to repay it early by remortgaging or selling your home, the maximum settlement penalty than can be charged is one month's interest deferred for 28 days. Some of our second charge lenders do not charge any penalty whatsoever. Risky for you. A secured loan works like your first mortgage, in that the loan is secured on your home. If you fail to keep up with the repayments the lender could apply to a court to repossess your property just like your existing mortgage lender. Longer time to get your money. A secured loan often takes longer to arrange than an unsecured loan. Completion fees. A secured loan will usually have lender fees and broker completion fees added to the amount borrowed. Interest paid. Borrowing over a longer term could ultimately mean you pay more interest. Not recommended for smaller loans. If you wish to borrow a small amount of money you are better off applying for an unsecured loan, unless your credit history dictates otherwise. Not always best advice if your credit rating is poor. In certain circumstances you may be better off contact a free debt advice organisation such as StepChange or Citizens Advice. Avoid debt management companies that charge you a monthly fee. If you are a homeowner and are looking for a fast secured loan for any legal purpose, imagine your dreams turning into reality! Our rates start from just 4.4% APRC variable, so you can see why we have an excellent reputation for providing the cheapest secured loans with low monthly repayments, even if you have a poor credit history. You can borrow any amount from £3,000 up to £2.5 million for any legal purpose, with repayment periods between 3 and 30 years available. If you have a bad credit history, you could still get a loan from us at a very competitive interest rate, as many of our lenders ignore credit problems over 12 months' old, including court judgements and defaults. Apply online now - it's easy and only takes a few minutes or call us free on 0800 710 1777. We will find the best loan available for your circumstances and once we have agreed the terms with you, we send you the paperwork. The staff at Imagine have been arranging loans since 1983 and have helped thousands of people just like you to turn their dreams into reality. Many other brokers use Imagine Loans or our sister companies to help their customers obtain the loan they need. However, by applying to Imagine Loans directly you cut out the middleman and the commission we have to pay them. This would ultimately be paid by you within your monthly repayments. 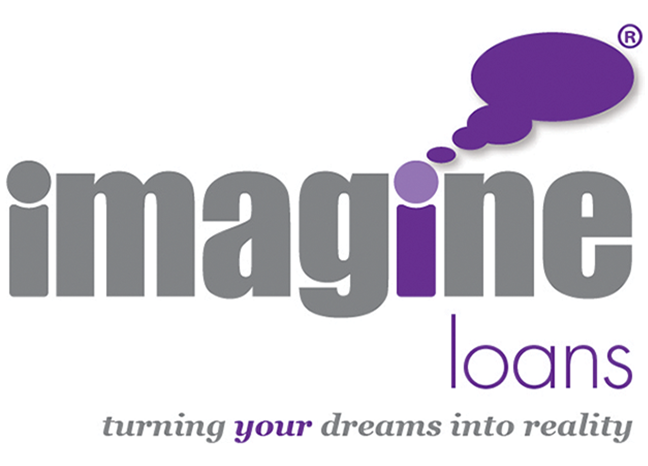 Imagine Loans is an independent loan broker, not a lender. We have the UK's widest range of loan lenders on our panel and are not tied to any one lender. Because of this we can compare the market for you using the products of over 20 secured loan lenders in the UK. Unlike most price comparison sites, where your details are passed onto another broker, therefore increasing the cost of your loan, Imagine Loans will deal with your application from start to finish. Will my application to Imagine Loans® affect my credit rating? No. When you apply to Imagine Loans, as part of the application assessment we contact a credit reference agency to check your credit file. However, because we carry out what is called an 'Enquiry' or 'Soft' search, this does not appear on your credit file and does not affect your credit rating or credit score. A secured loan is a mortgage over the property you offer as security. It is registered behind your existing main mortgage and is often known as a second charge mortgage, second mortgage or homeowner loan. Once the lender has confirmed they intend to lend, they will obtain a Full Credit Search. This does appear on your credit file, but should not affect your credit rating. I'm interested. What should I do next? If you would like to speak with one of our experienced advisors, you can call us free on 0800 710 1777.